Model DF - plain panels. Door made of natural knagless pine wood covered with top quality pine veneer and finished with two coats of clear varnish. 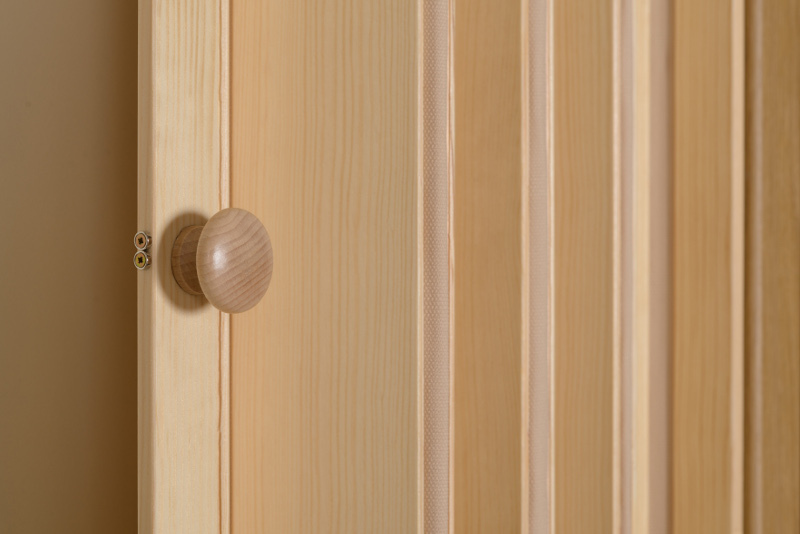 Solid wooden core and fine looking natural pine veneer gives sturdy but sleek looking door. We carefully match tone and grain of veneer on each panel. Minimalistic and natural beautiful look to match modern style interiors. 9. Lower rail pins...................................2 pcs. 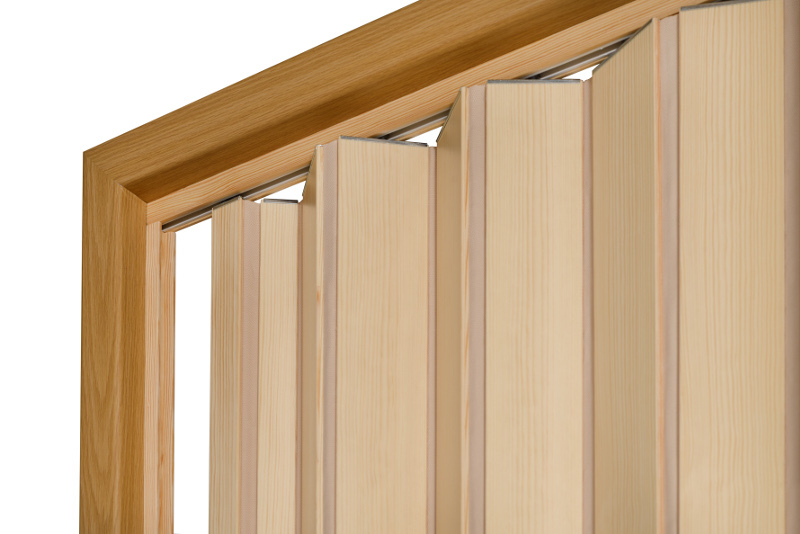 The door is designed to be assembled in an existing door frame (assembly instructions). Photo - door after assembly. 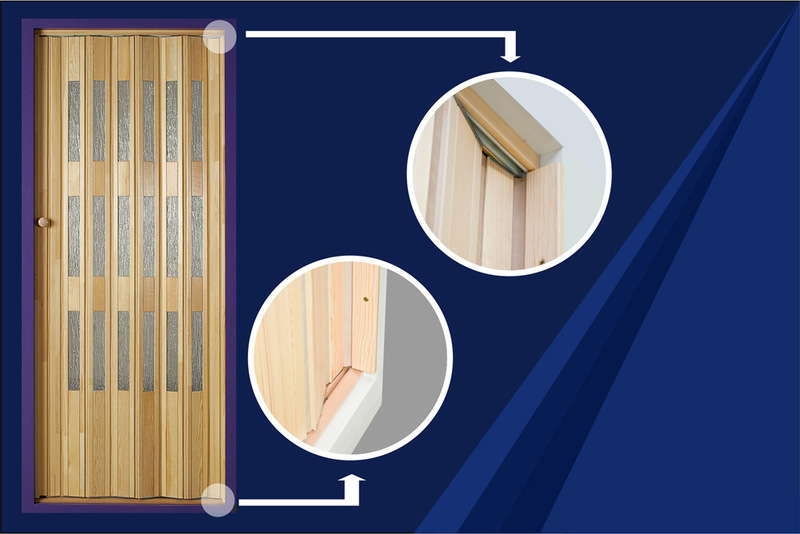 Picture - some measurements of a folding door. The product has Hygienic Certificate HK/B/0324/01/2004 issued by State Bureau of Hygiene. 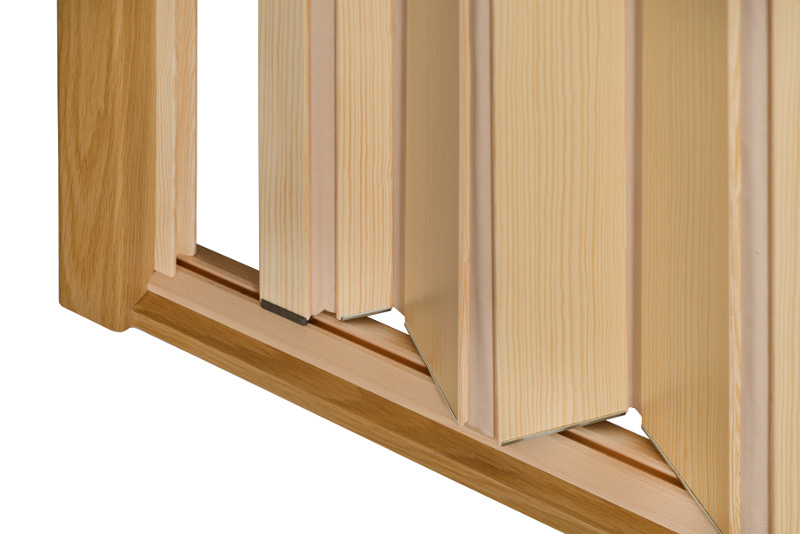 each segment has been strengthened from its top and bottom by metal fittings (photo). We provide a one-year warranty for each product. We provide VAT invoices.